Built 1820 for a society of local citizens. 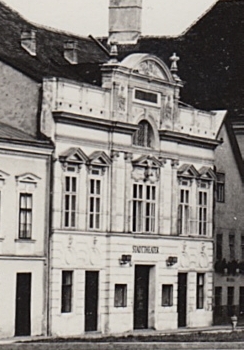 Since 1849, owned by the city of Sankt Pölten, named "Stadttheater". Closed 1881. Stagehouse demolished. 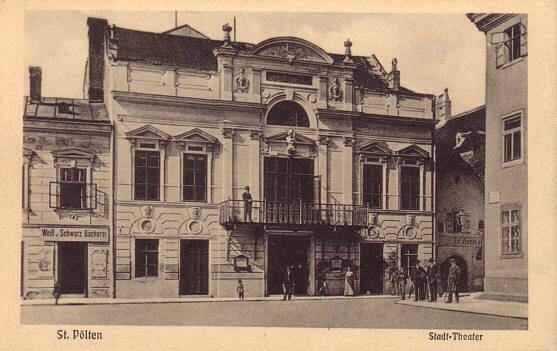 1893 new theatre within the walls of the former building, built by Heinrich Wohlmeyer. Opened 30 Sep 1893. Damaged by bombs in World War II. Subsequently repaired. 1966-1969 major rebuilding and renovation. Re-opened 26 Sep 1969. 2002 interior redecoration and installation of a studio stage. Home to the Landestheater Niederösterreich. 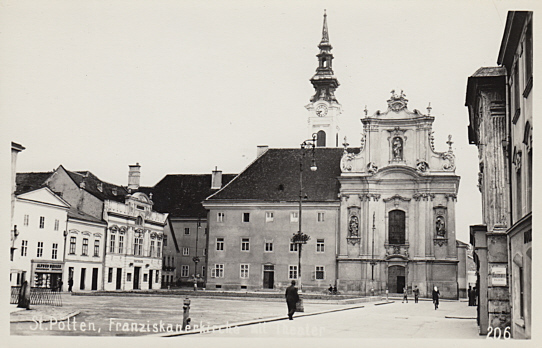 Front Text: "St. Pölten, Stadt-Theater"
Front Text: "St. Pölten, Franziskanerkirche mit Theater"